Conference Series is beaming to invite all the experts in the field of Biomarkers for the forthcoming event “15th Global Biomarkers Summit” which is going to be grasp on March 20-21, 2019 at Paris, France. The Global Biomarkers Summit Conference is the brainchild of the top Technology firms in the theme of “Challenges and opportunities in incorporating Biomarker research”.This opportunity brings together the best of brains for some roundtable discussions on the direction and flow of technology for the nation and the world in the next decade. Global Biomarkers Summit and all Biomarkers meeting, Biological occasions will help in structures association, B2B collaborations in the midst of executives and academicians. We have managed different energizing Biomarkers occasions bringing the scientists and affiliations together.This Global Biomarkers Summit addresses the latest trends and technological developement in the fields of biomarkers in drug delivery, biomarkers in drug safety, genetic biomarkers, biomarkers applications in Nano science, challenges of clinical translation, Companion Diagnostics,Cell freeBiomarkers in Disease diagnosis & prognosis etc. 20+ sessions for the participation of Keynote, Plenary talk, oral, Young Research Forum, Video presentation, Poster presentation and e-poster. This creates a new platform for the participants by building up networks between them. We would be delighted to have your presence at this conference to hear, technology advancements and their impact on our research and daily lives. We would also love to hear your thoughts and opinions towards this direction. The Global biomarkers summit is a special discussion to unite worldwide recognized scholastics in the field of Oncology, pharmacology, General wellbeing experts, to trade about best in class of research and advances. All the Deans, Head of Departments, Professors,Associate professors, Assistant professors, PhD scholars ,doctorates, Industry Scientist,Clinical technician, Students, Doctors, Scholastic researchers and Other Professionals from Pharmaceutical and Bio-pharma companies belonging to the following fields are encouraged. Cancer biologist and all biomarker associates. A biomarker or a biological marker is a substance used as an indicator of a biological state. In medicine, a biomarker is a measurable characteristic that reflects the severity or presence of some disease state. 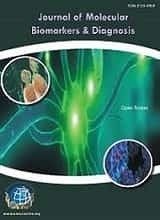 More generally a biomarker is anything that can be used as an indicator of a particular disease state or some other physiological state of an organism. It helps in Screen for disease, Assessing prognosis, Starting intervention or treatment and Assessing efficacy. 25+ experts from both industry & Academia presenting their research work in Biomarkers. Update yourself to latest regulatory guidelines and approvals in Biomarker research. Live case studies from pioneers who developed & created a Biomarker. Engage yourself into the networking sessions for quality interactions. Best platform to promote collaborative research & initiate long-lasting Business partnerships. Apply the latest developments in Biomarker into your clinical practice. World-class platform to Exhibit the products and services. One to one sessions by Biomarker experts across the globe. Be a part of the interactive debates, plenary sessions and share your current experience in Biomarker with fellow colleagues. Promoting student into a Biomarker researcher in the way of conducting Young research forum. One out of two men and one out of three Women will be diagnosed with cancer by the time they are 85. In the course of the most recent decade 385,000 new instances of malignant growth were recorded in terrain France. The breakdown was as per the following: 211,000 new cases in men (normal age of 68) and 174,000 cases in Women(normal age of 67). The rate of malignancy in men dropped by 1.3% per year somewhere in the range of 2005 and 2012 in any case, it ascended by 0.2% per year in Women. Mortality likewise diminished over a similar period. Male mortality diminished by 2.9% and female mortality by 1.4%. 149,500 individuals kicked the bucket of malignant growth: 84,100 men at a middle age of 73 and 65,400 Women at a middle age of 77. 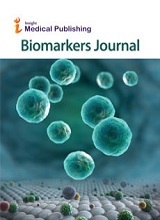 The disclosure of new biomarkers and their interpretation into wellbeing intercessions are essential to address the difficulties presented by Human sicknesses in Paris.Better instruments are unequivocally required for the discovery and reconnaissance of illnesses at the epidemiological level and in addition the finding and observing of diseases and conditions at the clinical level. Their improvement, will be progressively critical in the coming of customized prescription. 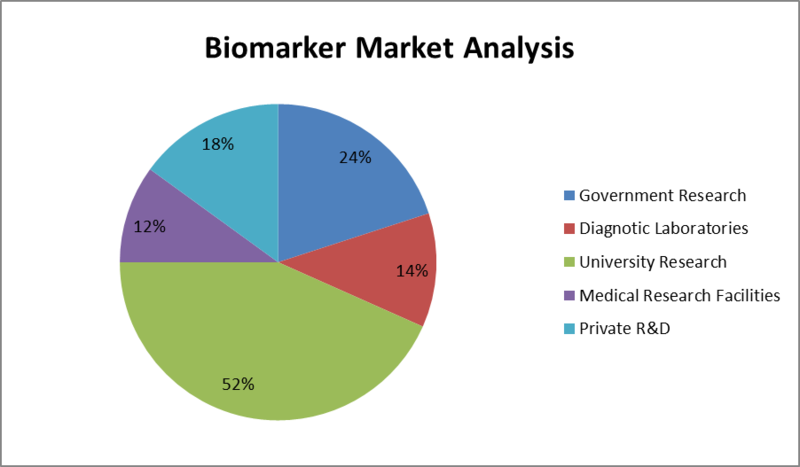 Tremendous increase of Biomarkers market from 2016 as USD 27.95 billion, growing at a Compound annual growth rate of 13.8% during the forecast period. Reason for growth in the market driven by factors such as increase diagnostic application of Biomarkers, increase R&D funding for Pharma and Biotech companies, increase number of CROs and low cost of clinical trials in developing countries and new initiative for research. 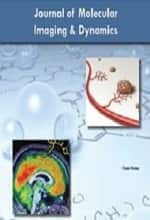 The global market for biomarkers should grow from $ 78.9 billion in 2018 to $ 136.5 billion by 2023 at a compound annual growth rate (CAGR) of 11.6% from 2018 through 2013. The International Conference on 14th Global Biomarkers Summit convoked by Conference Series during October 18-19, 2018 was successfully held at Hyatt Place Amsterdam Airport, Netherlands with a theme “Advancements in Biomarkers from Translational Research to Commercialization” was a great success where eminent keynote speakers from various reputed institutions and hospitals with their resplendent presence addressed the gathering. Biomarkers Summit 2018 witnessed an amalgamation of peerless speakers who enlightened the crowd with their knowledge and confabulated on various new-fangled topics related to the fields of Biomarker. Biomarkers Summit 2018 Organizing Committee would like to thank the Moderator of the conference, Wenjun Pu, The University of Queensland, Australia and Dr. Xiao Wang, Lund University, Sweden who has contributed a lot for the smooth functioning of this event. Dr.Vincent Van Ginneken, Erasmus MC, Netherlands. Conference Series llc LTD is privileged to felicitate Biomarkers Summit 2018 Organizing Committee and Chairs who supported for the success of this event. Conference Series llc LTD would like to thank every individual participant for the enormous exquisite response. This inspires us to continue organizing events and conferences for further research in the field of Biomarkers Summit. 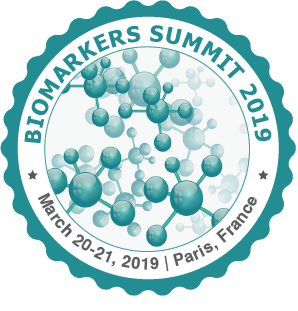 With the valuable feedback received from the participants of Biomarkers Summit 2018 , Conference Series llc LTD is glad to announce the commencement of 15th Global Biomarkers Summit 2019 during March 20-21, 2019 Paris, France highlighting the theme " challenges and opportunities in incorporating Biomarker research". We welcome all the eminent researchers, students and delegate participants to take part in this upcoming conference to witness invaluable scientific discussions and contribute to the future innovations in the field of Biomarkers Summit and its concomitant risk factors.